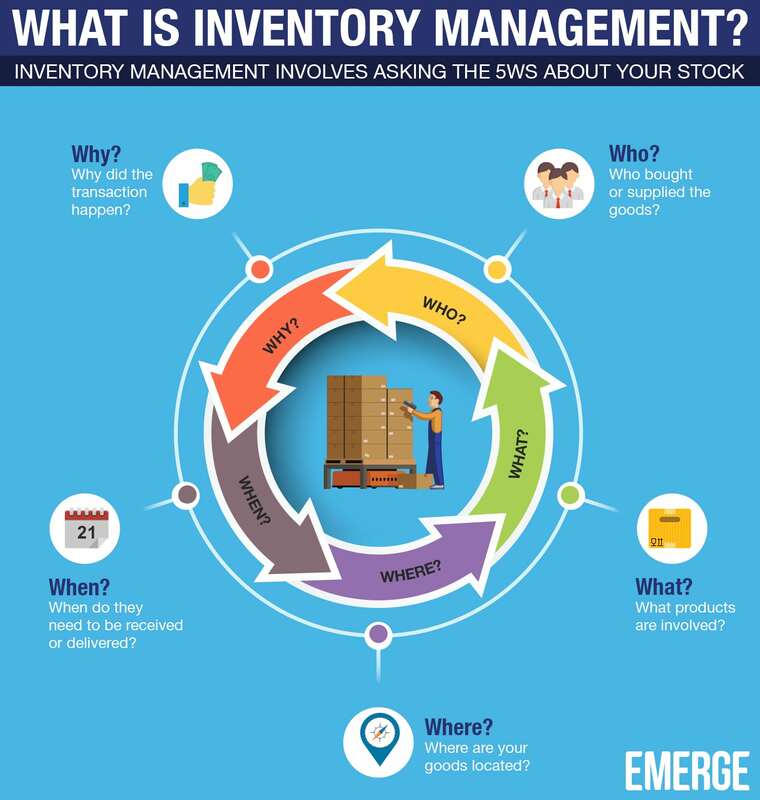 Inventory management, in a nutshell, describes your efforts to manage, assess and report on the flow of your stock of goods. You might be using pencil-and-paper, spreadsheets or sophisticated inventory management software to do this. 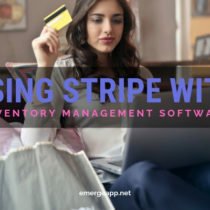 Nowadays it refers to inventory management software because computational power is needed to effortlessly calculate, for example, landed costs for purchases and CBM for your packing lists. 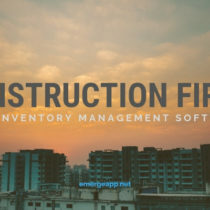 Regardless of what means you use to keep your inventory records, there are two features that any inventory management effort must have today: perpetual inventory and FIFO. Perpetual inventory is an accounting method that continuously updates stock on hand by immediately recording the sale or purchase of stock. This way you’ll always know the quantity and availability of your goods. The flip side is the periodic method that uses occasional physical stock counts to calculate the inventory balance and cost of goods sold. FIFO or First-In, First-Out is an inventory valuation method that assumes that the first goods purchased are also the first to be sold. This assumption actually follows the flow of goods in a typical business; you will want to sell the older goods first to reduce the risk of expiration and obsolescence. These two features are also generally accepted accounting principles around the world, and thus contribute to consistent financial reports. Why Should You Care About Inventory Management At All? 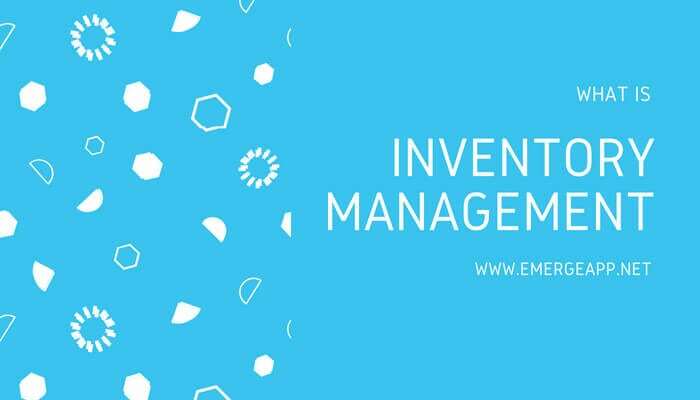 Because if your business depends on buying and selling goods then inventory management will minimize the amount of cash that you put into these goods. Thus, you free up cash for other areas of your business. 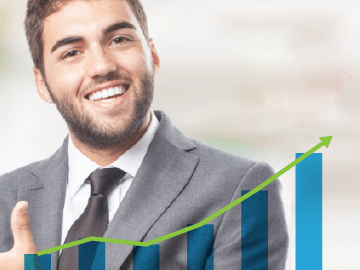 We all know that cash flow, and not profitability, makes or breaks a small business. Who? Customer, supplier or consignee. Why? Sale, purchase, return or exchange. As always, these inventory management concepts are best illustrated with a completely fictitious example. Dan was a celebrated discus thrower back in his college days. He competed regularly at national and international athletic meets and it helped put him through school. Unfortunately, hip and shoulder injuries took a toll on him and he had to retire from competitive sports when he entered the corporate workforce. Dan was feeling restless in his office cubicle. He wiped the remnants of his avocado-and-chicken sandwich from his lips and leaned back his chair. The past 8 years were spent crunching numbers while different high school buddies went on to found a search engine, a social media network and a very large e-commerce store. He gazed longingly over Lake Michigan. E-commerce was the way to go for him. His buddies in the bar spoke about “drop shipping” which he had mistaken for the action that delivery people do when they drop the package on your front porch. And “FBA” which he had thought was the Food Business Association. All this made Dan itch. He thought hard about his strengths and remembered his college sports days. There was no way he was going to endorse discus products after the several surgeries he had been through. Then he thought about what his family enjoyed most at Oval Beach on the weekends: throwing flying discs. “That’s it!! !” he yelled, snapping back upright, jolting the coffee on his desk. Dan in his moment of inspiration was going to sell flying discs online. They could be enjoyed by people of all ages, including pets! And they weren’t physically demanding except for a flick of the wrist and forearm. Plus, they were lightweight and easy to ship around the States. Dan set about designing his version of flying discs, scribbling furiously away with his understanding of the aerodynamics of discs. In the next few months, he sourced for custom suppliers of flying discs from China, opened a few online stores at Amazon, eBay, and Shopify. And paid a college undergrad to set up his e-commerce website using WordPress and WooCommerce. He wasn’t going to open a retail store anytime soon. But he definitely wanted to put his experimental defying discs in the hands of potential customers. And there was no better way than demonstrating and selling his discs at beach kiosks and summer fairs. Dan even dreamed up a velour-lined disc for the colder months. Dan had his heart set on releasing seasonal designs for his flying discs. He would have a core set of colours and then release new colours and designs every Spring/Summer and Autumn/Winter. He took cues from fast fashion and priced his discs to move as quickly as they flew! However, this meant that his seasonal discs had to sell first so that their designs wouldn’t spill over into the next season or, gulp, following year. Who would want to buy a cheery tropical print flying disc in the dead of winter? So Dan told himself, “The first shipment to come in will be the first to be sold. Full stop.” He, unknowingly, just applied the principles of First-In, First-Out. And it made total business sense to sell the oldest stock first as he didn’t want deadstock. Dan’s discs sold at a clip for a couple of months. His jaw-dropping demonstrations at beach kiosks and word of mouth meant steadily improving sales with summer approaching. Strangely enough, his biggest customers were pet shops! Dogs must love catching these discs. This gave Dan another moonshot idea. Why not flavoured discs for pets, too? If dogs enjoy catching his discs in mid-air, imagine what they would do for bacon-flavoured discs? Or turkey for the colder months? They could even be made from pet-friendly, bio-degradable bone material so that dogs get a good dental workout while they chewed it to pieces. The ideas were forthcoming and they just didn’t stop there. With the app economy, there was an app for everything. So how about an app for flying discs? While they were not self-flying drones, little actuators embedded inside the edge of the discs could sway the disc enough to change its flight path. You could draw a simple path using Dan’s app and the thrown disc would take the path that you had just drawn. Just think of hitting empty beer bottles with his gravity-defying discs at the beach! Excitedly, Dan was on the phone with his Chinese supplier with his new ideas, no matter that it was 4:00 am over there. Months later he added pet-flavoured and motion-controlled discs to his inventory. But this meant several tiers of pricing for his discs now. His classic and seasons ones were steady at $9.90. The pet-flavoured discs jumped to $19.90. And finally, the tech-embedded discs were $29.90 with a free app to download. Now that his discs had different profit margins, he had to categorise and keep track of them carefully. He called his flying tech discs the most valuable stock because of their higher margins and because of the electronics involved in making it. Hence these were kept in a locked up cage in his storeroom and he did weekly stock takes on these. Plus the limited life of the built-in battery meant that he had to keep track of their expiry dates. The flavoured discs came next. They were in the middle of the pack but they were steady sellers to dog owners and pet shops. Dan stacked them neatly on his shelving units to keep an eye on them. He only did a physical count every month on these just to make sure popular flavours were readily available. Finally, his classic discs took up most of the space in his storeroom as they were fast sellers in different colors but the profit margin on these was lower. Nonetheless, he only did annual stock takes for these as they were far too many boxes scattered all over the place. Dan just applied the principles of ABC Analysis to his inventory. His app-enabled flying discs were Category A superstars. They had the highest costs and highest margins but needed a little more security and control to keep track of their built-in battery expiry dates. The flavored discs, while not volume sellers, actually contributed the most to his sales revenue. They were in the middle of the pack with a decent profit margin, but Dan needed frequent reordering to avoid stockouts of popular flavors. Finally, the classic discs were high volume sellers but low margin products. Relatively little stock control was needed as they were sold in huge quantities, often thrown in bulk bins in retail stores. The seasonal and meme designs for classic flying discs made Dan’s head literally spin. The classic designs had to be updated every 6 months or so. This meant production planning and graphic design had to be done by the supplier well in advance before the first shipment of the season. Also, fads and Internet memes waxed and waned along with the cycles of the moon. Dan probably had a window of two or three quarters to sell these sometimes humorous discs before they went the way of faddish Internet songs. This left Dan in a bind. His discs made great gifts whatever the season but the planning, production to sales cycle was incredibly short and he could not tie up his cash into buying an untested design that might sell like spiced mulled wine in summer — absolutely flat. Instead of moving massive amounts of finished stock across the Pacific Ocean with every approach of a new season, Dan decided to base his flying discs on a few core colours that lent themselves to customization, for example, white, pink, black, red and so on. He would then source local suppliers for graphic design and paint, and use his stamping and embossing machines to produce custom discs. So if there was another Internet dog meme, Dan could quickly ramp up production of his dog meme discs and offer them for sale within a week! This compared favourably with the typical 3-4 month lead time that he used to give his Chinese supplier to design and print custom discs. And sometimes the final finish or colour wasn’t up to his expectations once the stock arrived in the port. Dan was implementing the ideas of JIT manufacturing to his flying discs. With a basic disc in hand, he could order a design, paint or metallic finish at short notice, have it delivered to his simple manufacturing workshop and produce variants on the fly. This way Dan reduced the need to keep safety or buffer stocks for a bewildering range of designs. Thus he was saving cash for other pressing business issues and enjoying lower inventory carrying costs. There was little need to rent a huge warehouse if he could do short production runs of designs as and when he needed them. However, Dan knew that JIT required everyone to be a team player. His local suppliers had to deliver quality raw materials on time, every time. And, he absolutely could not afford any errors or slip-ups in his production schedules. He felt it was more of a manufacturing philosophy than a production technique. While Dan was happy to use JIT for his classic flying discs, he left his app-enabled and flavoured disc lines alone. They were still produced by his suppliers in China as they required labor, skill and machinery that he did not have. He was so impressed by the low buffer stock for his high volume classic lines, that he looked into how he could minimise the holding of his middle and top-tier discs as well. 1. How many discs to keep on hand? 2. What is the quantity of discs to order each time? 3. When should he reorder to minimize inventory costs? By minimising his reorder quantity, he was also minimising the total costs of inventory in his business. These hidden costs can include holding costs, order costs and shortage costs. He wanted a system that could continuously monitor his inventory levels and order a fixed quantity each time the level reached a specific reorder point. Inventory would be instantly replenished along with no shortages or stock-outs. There are no inventory shortages or related costs as there is instantaneous replenishment of stock. Thankfully, his flying discs managed to satisfy these assumptions. Demand was fairly constant for his flavored discs, and the stock of his discs moved fairly quickly, sometimes reaching zero upon replenishment of popular flavors! While running along Grand Haven beach, Dan stumbled upon an idea. He was getting tired of renting progressively larger warehouse units to store his flying discs. And the stacks of loose discs and boxes were literally falling over each other, making stock takes and picking time-consuming. “How about if I just ship ’em straight from the factory to my customers?”, thought Dan as he stubbed his toe on a piece of driftwood. Nursing his sore toe, he resolved to outsource and streamline his supply chain. He didn’t have to receive the import of his goods, store and sort them, and then ship them out. Instead, he would get the supplier to ship orders whenever he received them. They would still be in his groovy Dan’s Defying Discs packaging except they would be shipped from China. Also, he had no worries about quality control as he has built a level of trust with his suppliers now. And besides, customers enjoyed a generous 30-day “no questions asked” exchange and refund policy should they be unhappy or dissatisfied. Dan, unbeknownst to him, had just embarked on a drop shipping system for the fulfilment of his orders. He only had to make sure that the suppliers were routed a copy of the order. His virutal assistants would then follow-up with their delivery status, as well as any customer support issues. Better still, Dan just outsourced a big chunk of his company’s operations to his manufacturer. They would take care of the product, inventory, packaging and shipping, while he would focus on sales and marketing — a win-win situation! 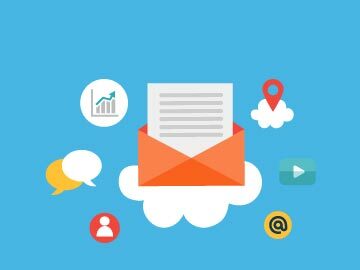 It instantly made his company very lightweight and his role was now like a middleman: collect the sales orders and then pass them to his manufacturer for fulfilment. Hence, drop shipping is a form of inventory management even though there’s no inventory to be managed! Why? You need not keep stock but you’re still billed for them when they are shipped out. Also, this system doesn’t require any investment in inventory upfront, and you need not worry about maintaining an optimal level of stock. This has been outsourced to your supplier or manufacturer. So this is a method of inventory management in itself. Smug from his transition to a lightweight, drop shipping business, Dan thought further about how to expand his reach beyond the Mid-West. He very well knew that his products would enjoy year-round consistent sales in California and Florida because of their weather and abundant beaches. But aside from a handful of pet shops, he didn’t have any retail presence in those states. Any orders from those regions tend to be made through his online portal. And he didn’t have a marketing strategy for them except for word-of-mouth referrals and online search. Dan knew that he had to quickly get a foothold in those critical markets. Autumn and winter season was fast approaching in Illinois. And he couldn’t continue to depend on slow but dependable organic sales. With his lightweight business model fresh in his mind, Dan resolved to sell the rest of his flying discs through a network of retailers instead. He knew that he lacked the capital and resources to set up branded retail outlets of his own. So the next best thing was to sell them in places where customers expect to find flying discs. These included sports stores, departmental stores, specialist toy stores and kiosks around the country. And, yes, more pet stores. However, this business model of consignment sales has a few important caveats. Dan would still continue to own the stock of flying discs at the retailer until they are sold. And the retailer is free to return unsold or damaged stock back to him. Gulp! On the other hand, the retailer bears no risk in selling Dan’s discs. The only thing they have to lose is the occupied retail space and space to store them in their warehouse. Retailers don’t have to buy the discs until they are sold. There are risks for Dan. But they generally outweigh the benefits of getting a retailer to stock his unproven flying discs in new markets. How else could he persuade new retailers to sell his discs for him? As you have seen, inventory management describes the efforts to get your stock under control. It used to refer to the use of pen-and-paper or spreadsheets to manage your inventory in the past. Today it refers to sophisticated inventory management software. 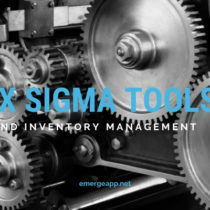 Which inventory management technique that you use depends on your small business. Use the one that fits your products and workflow and not the other way around.